China, in a bid to be the biggest big brother of them all, has expanded its already massive facial recognition AI system. Now, along with political dissenters and criminals on the lam, it’ll track the emotional state of high school students in classrooms. What a great idea: Students at the Hangzhou No. 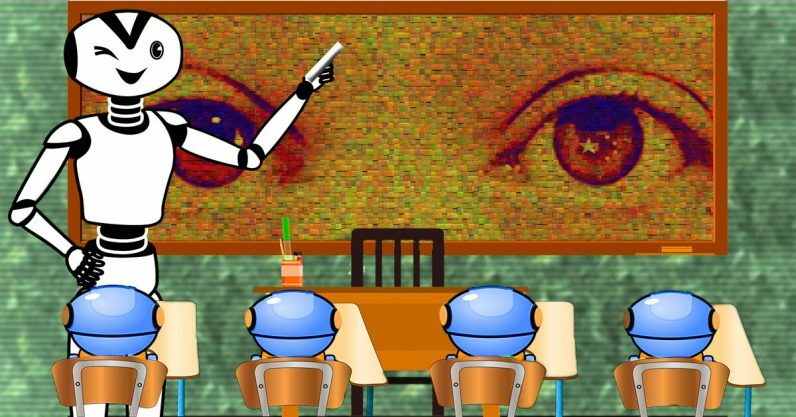 11 middle school are being monitored by a set of three AI-powered cameras that provide real-time emotional recognition and analysis. How much time do you have in one day? What are you doing when you are not focused? Which teachers’ classes do students like most? With big data, these answers are no longer mysterious. Did you know: Neural networks can detect human emotions that other humans can’t? It’s true. With big data you can learn a lot more about a person than whether they’re paying attention or not. For example, simply by invoking an idea aloud, teachers could easily determine which students self-identified as homosexuals or distrusted the government. It’s well within the scope of today’s neural networks to accurately observe and report a person’s emotional response to the introduction of any topic. Hollywood uses the same technology to gain insights into what movie-goers really think about a screening. It gets worse: We live in a world where we’re a hair’s breadth away from being able to legitimately read people’s minds without them knowing it. Determining someone’s exact physical, mental, and emotional state is child’s play for today’s neural networks. China’s government officials literally sleep in citizens beds to invade their privacy. We can’t make this stuff up. Using AI, they can pick out an individual face in a crowd of 60k. And now they have direct access to the hearts and minds of school children.